Have I Got News For You is a long-running popular BBC One quiz show where the two team captains, Paul Merton and Iain Hislop, answer questions about that week's news with a guest panellist each on their team. The host of the 30 minute show changes each week. They are usually comedians but often actors. The show has been regularly broadcast since 1990 usually with two series each year. It is recorded on Thursdays and broadcast on Friday evenings with an extended show (called Have I Got A Bit More News For You) which is transmitted on Monday evenings for 45 minutes. David Tennant was first the guest host for Have I Got News For You for the episode broadcast on Friday 30th October 2015. The guest panellists for that episode were Grayson Perry and Katherine Ryan. David Tennant's second episode of Have I Got News For You premiered on BBC One on Friday 6th May 2016. The guest panellists for the episode were Phil Wang and Janet Street-Porter. 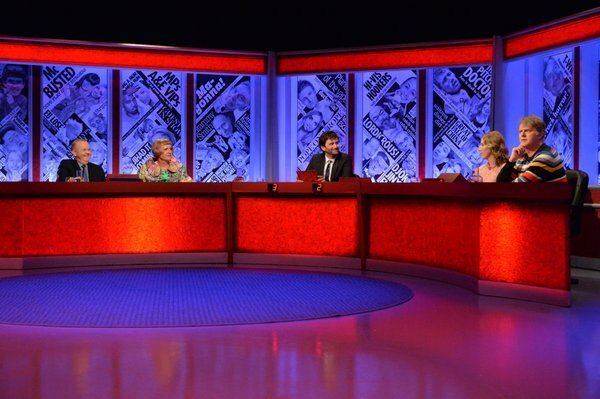 David Tennant's third episode of Have I Got News For You premiered on BBC One on Friday 15th December 2017 and the guests were the MP Angela Rayner and comedian Joe Wilkinson. 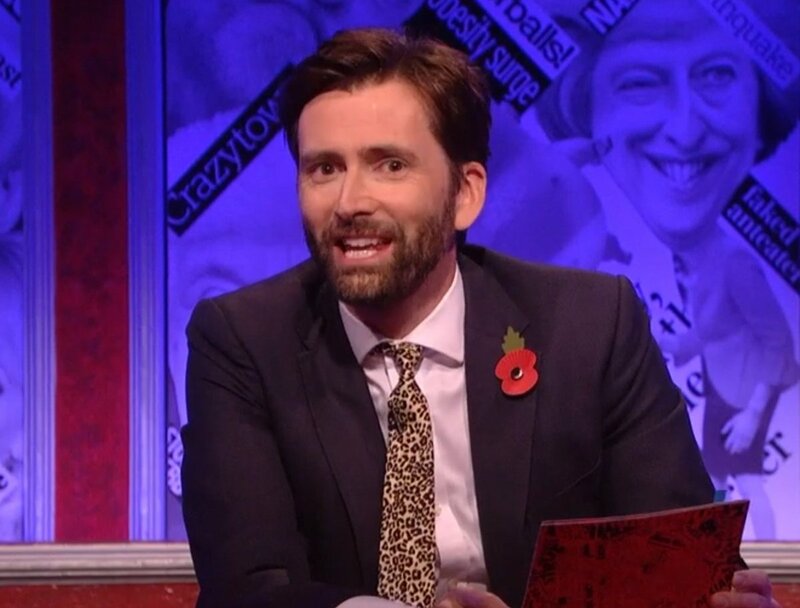 David Tennant's fourth episode of Have I Got News For You premiered on BBC One on Friday 9th November 2018. The guest panellists were playwright Lucy Prebble and stand-up comedian Reginald D Hunter. David Tennant's fifth episode of Have I Got News For You will premiere on BBC One on Friday 26th April 2019. The guest panellists will be Zoe Lyons and Johnny Mercer. It seems that David Tennant will be shown on BBC One on Christmas Day! David Tennant to host Have I Got News For You for a fourth time on Friday 9th November. The article includes a link to apply for tickets. 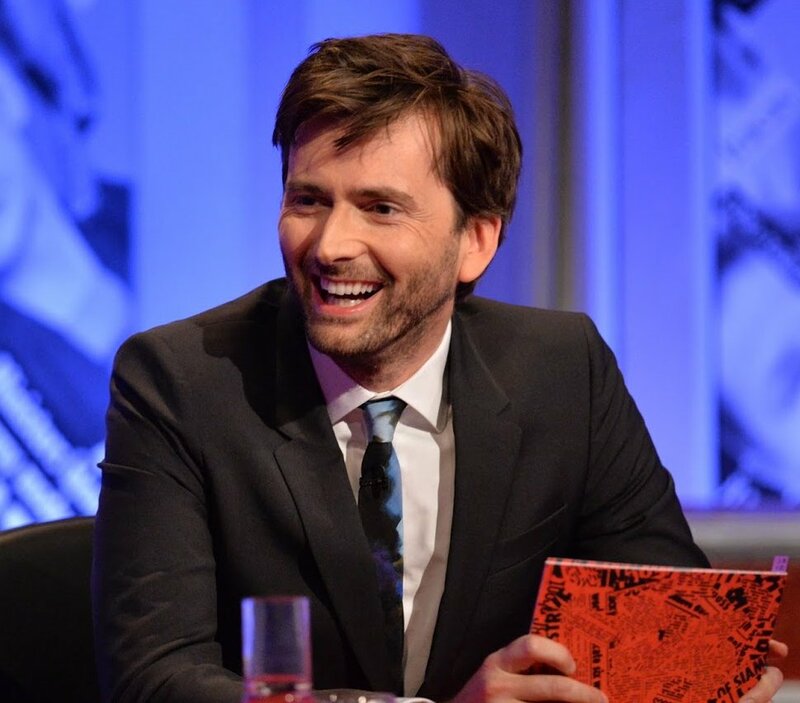 iPlayer link (which only works in the UK) to watch David Tennant hosting Have I Got News For You tonight. 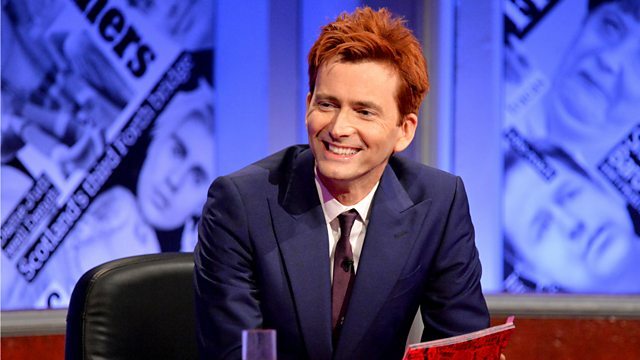 David Tennant to be the host of Have I Got News For You on Friday 15th December. The episode will be recorded on Thursday 14th December.